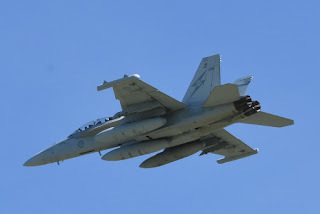 RAAF Challenger 604 Bizjet A37-002 Calls into Rockhampton Airport as "Regent 21"
On Monday 30 April, Royal Australian Air Force (RAAF) Canadair CL-600-2B16 Challenger 604 bizjet A37-002 called into Rockhampton Airport. 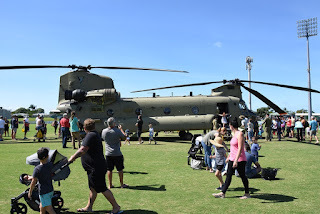 It touched down at Rocky from RAAF Base Richmond in New South Wales. The Challenger was noted to bring Federal Minister for Defence Marise Payne. 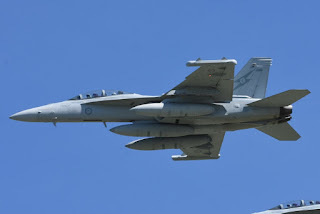 After some time on the ground at Rocky, A37-002 departed for Canberra. A37-002 was noted using the radio callsign of "Regent 21". 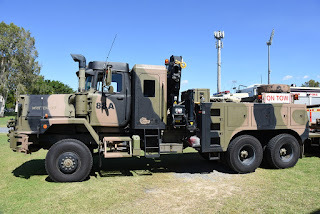 Meanwhile, also on Monday 30 April, RAAF Airbus A330-200 / KC-30A Multi Role Tanker Transport (MRTT) A39-002 "Dragon 34" was noted departing RAAF Base Amberley with it reportedly heading for Rockhampton to complete airwork. Unfortunately though, A39-002 encountered a technical problem and turned back to Amberley. 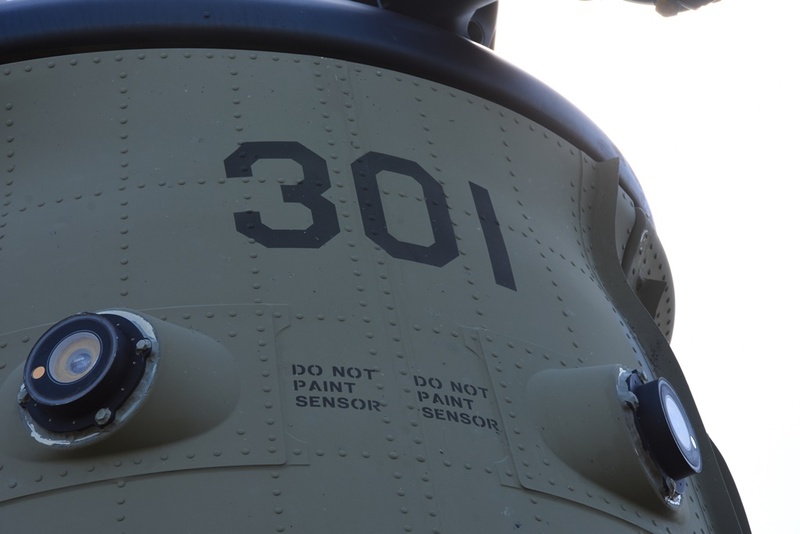 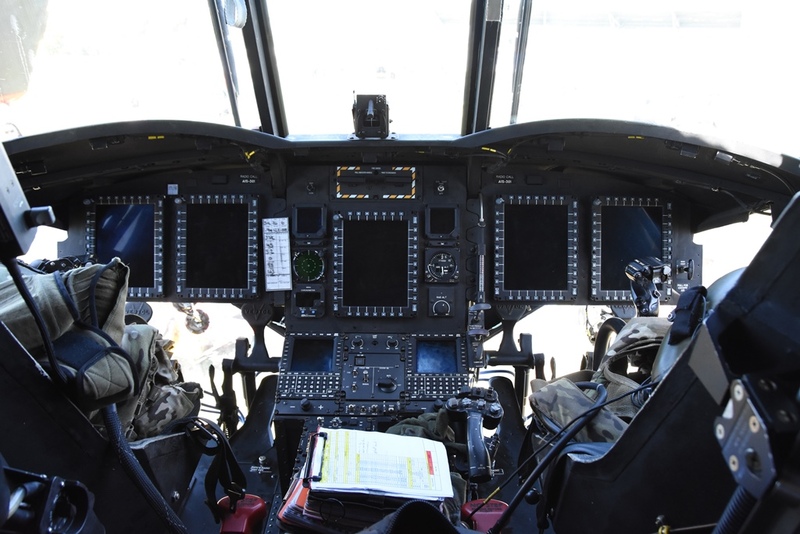 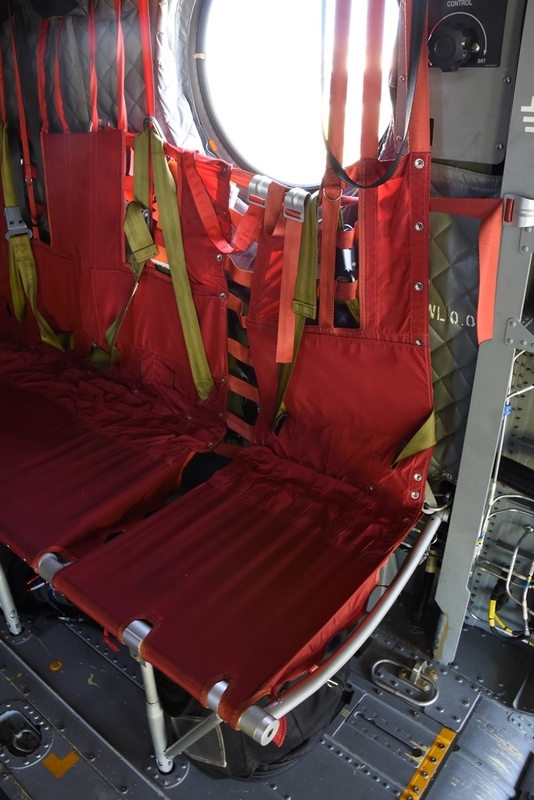 Finally, after the sun had set on Monday 30 April, Australian Army NH Industries MRH-90 Multi-Role Helicopter A40-023 "Destrier 69" was noted completing airwork around Bowen and Proserpine (Whitsunday Coast) Airports on a flight from and back to Townsville. 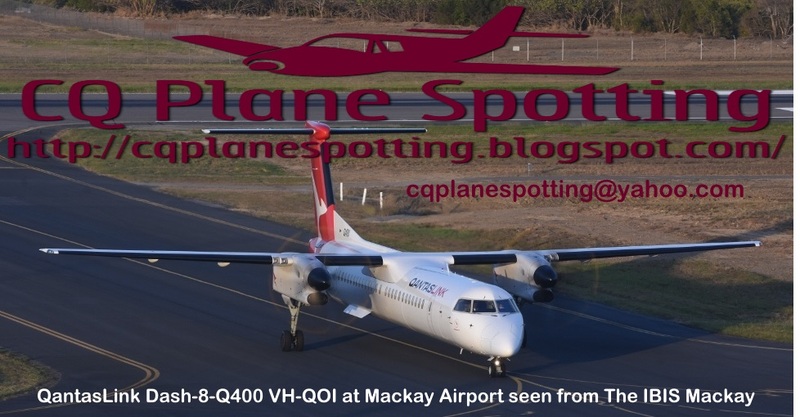 On Monday 30 April, the Queensland Police Service (Airwing) (State of Queensland) Textron Aviation (Cessna) 208B Caravan VH-PQX was spotted departing Rockhampton Airport for Cairns. 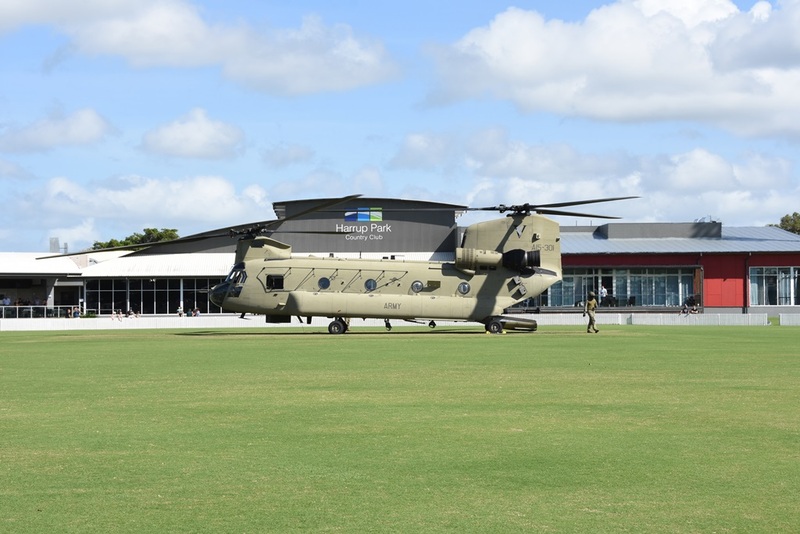 It had earlier arrived from Cairns via Townsville. 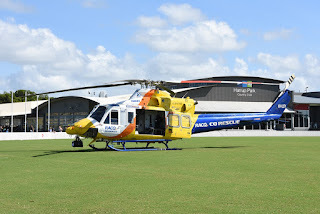 The Caravan has only joined the Police (Airwing) fleet at the start of this year and seems to be operating out of Cairns Airport. 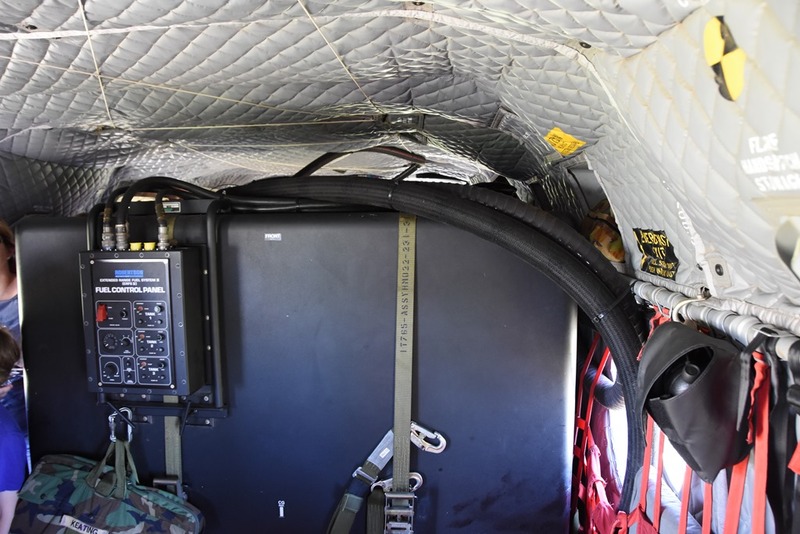 It joins three other Cessna 208B Caravans - VH-PSQ, VH-PSV and VH-PSY - which appear to operate from Brisbane, Cairns and Mount Isa on various transport and other roles. 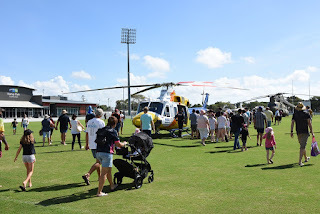 Meanwhile, also on Monday 30 April, it appears the Queensland Police Service (Airwing) (State of Queensland) Cessna 560 Citation Ultra bizjet VH-PSU was operating the three-times-a-week prisoner transfer flight run. VH-PSU was noted visiting Townsville, Rockhampton, Maryborough and Mackay Airports while on a busy day of flying from and back to Cairns. 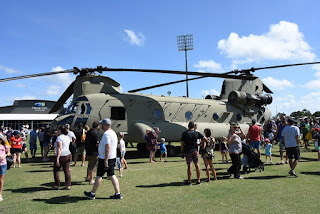 Of interest, it had positioned from Brisbane to Cairns on Sunday 29 April. American Registered Hawker 4000 N7567T Pops into Bundaberg Airport - Plus More Great Bizjet Action over the Weekend! 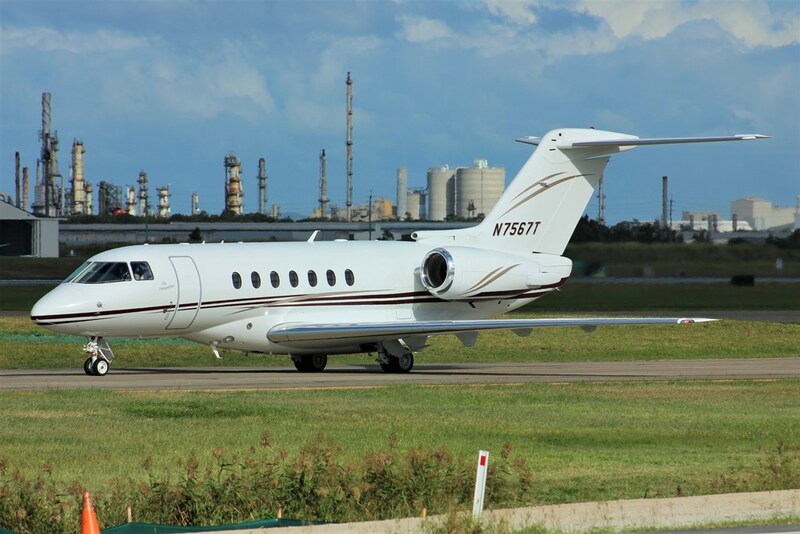 A surprise but most welcome arrival into Bundaberg Airport during the afternoon on Sunday 29 April was Strong Tower Services LLC (USA) Hawker Beechcraft 4000 bizjet N7567T. 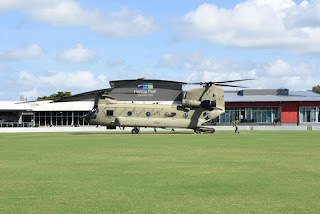 It appeared to arrive from Brisbane (where is pictured below). 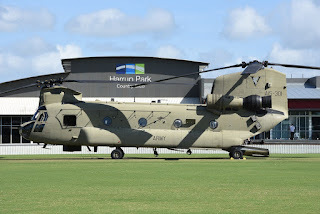 It had earlier flown over from Archerfield where it has spent the last couple of weeks parked. 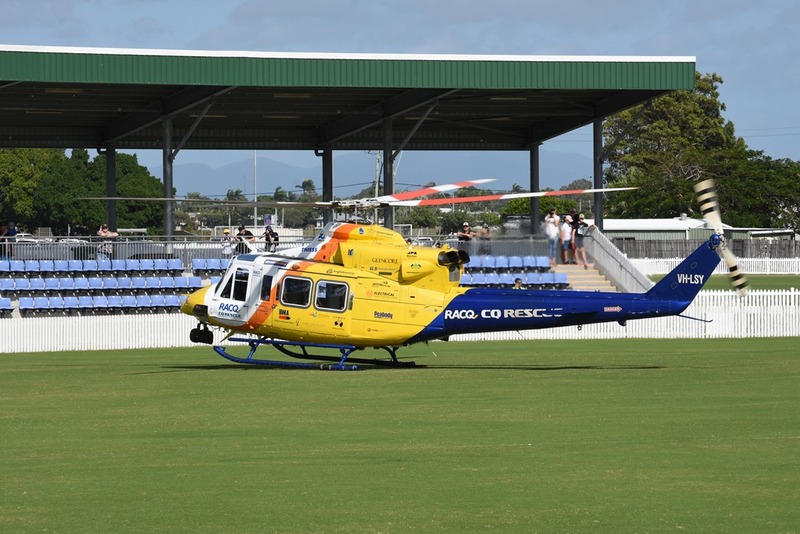 After a short time on the ground, N7567T was noted departing to Townsville. It was noted using the flight number and callsign of 'DCM4287' / "Dotcom 4287'. Meanwhile, another nice overseas visiting bizjet in the form of Elit'Avia (Malta) Bombardier BD-700-1A10 Global Express bizjet 9H-JSY was noted departing Hamilton Island Airport for Sydney on Saturday 28 April. 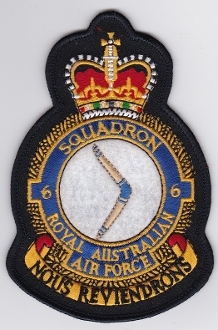 It had arrived from there on Wednesday 25 April. 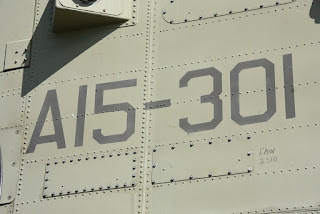 It again was noted using the flight number and radio callsign of 'EAU36Y'. 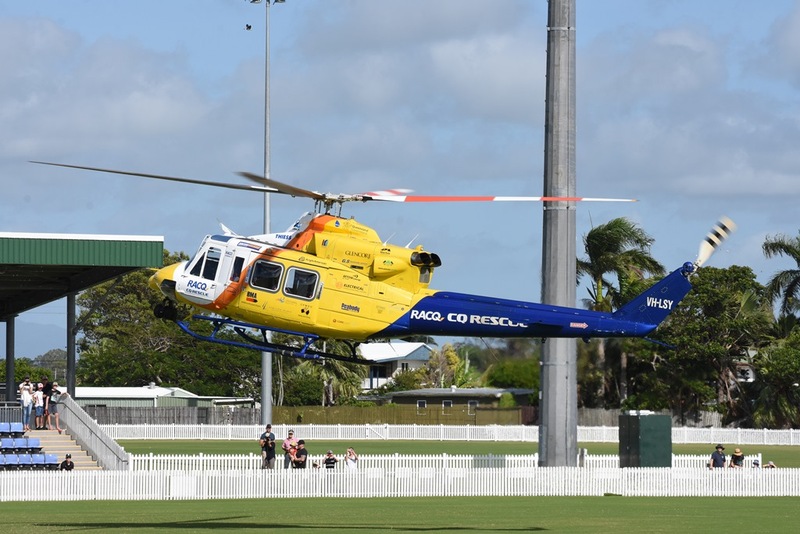 At the time of writing, the other visiting bizjet on Hamo - Skypac Aviation Cessna 550 Citation II VH-FYP - was due to depart for Cessnock in New South Wales in the early afternoon on Monday 30 April. 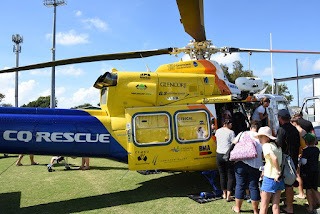 It had arrived from Bankstown and Cessnock last Monday 23 April. 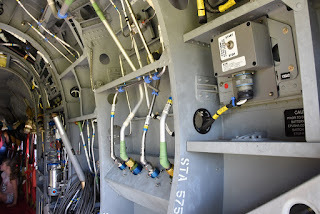 Back over the weekend, locally-based Embraer EMB-550 Legacy 500 bizjet N142GZ flew from its Mackay Airport base to Rockhampton and back on both Saturday 28 April and Sunday 29 April. 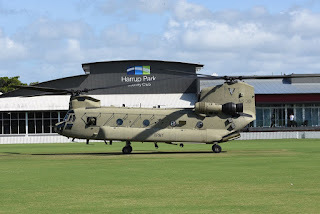 I captured its spectacular departure from Mackay Airport early on Sunday. Finally, the familiar sight of Gulf Coast Aviation Cessna 510 Citation Mustang bizjet VH-KXM was noted arriving into Emerald Airport on Saturday 28 April. It arrived from Mareeba in Far North Queensland after earlier arriving there from Bankstown. 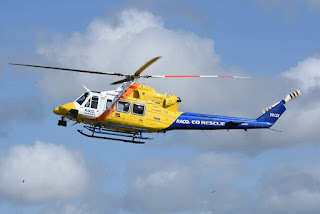 After overnighting, VH-KXM departed Emerald Airport for Bankstown. 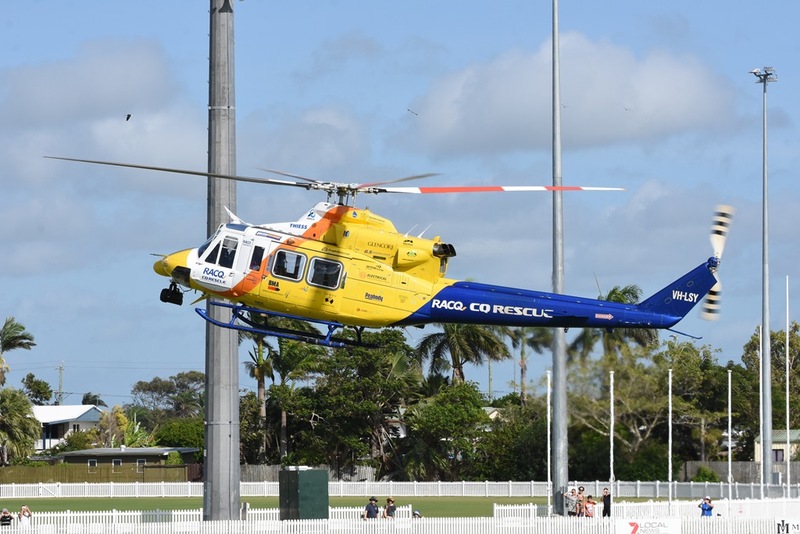 Of interest, VH-KXM flew from Normanton to Mareeba and Bankstown on Monday 23 April after visiting Gladstone Airport on Friday 20 April heading up to Normanton - see Blog post below. 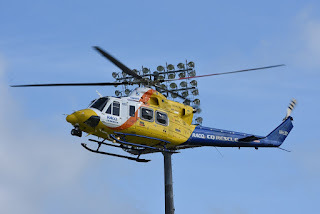 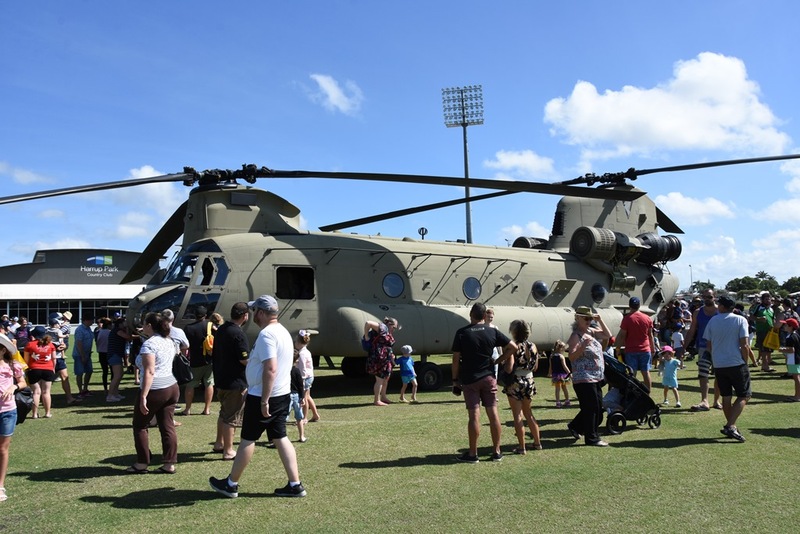 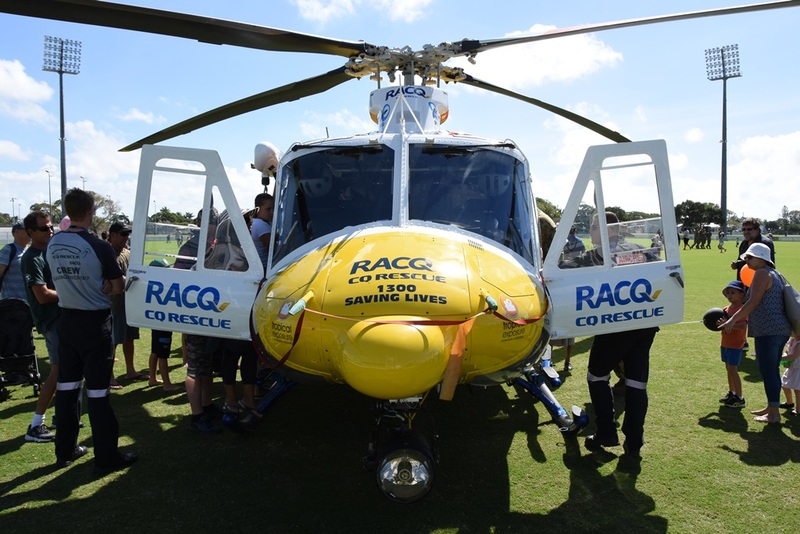 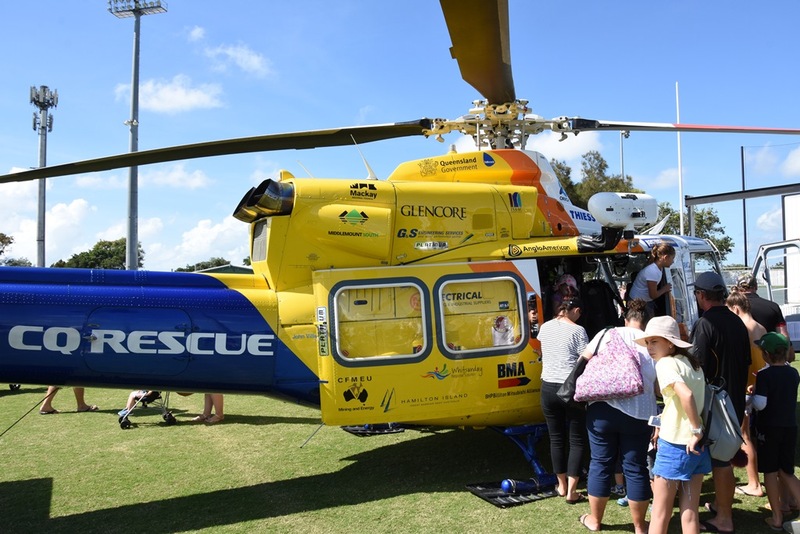 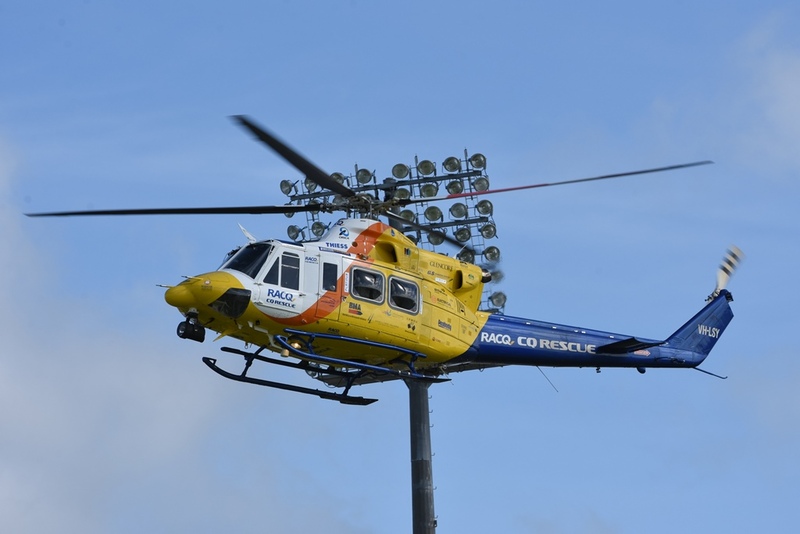 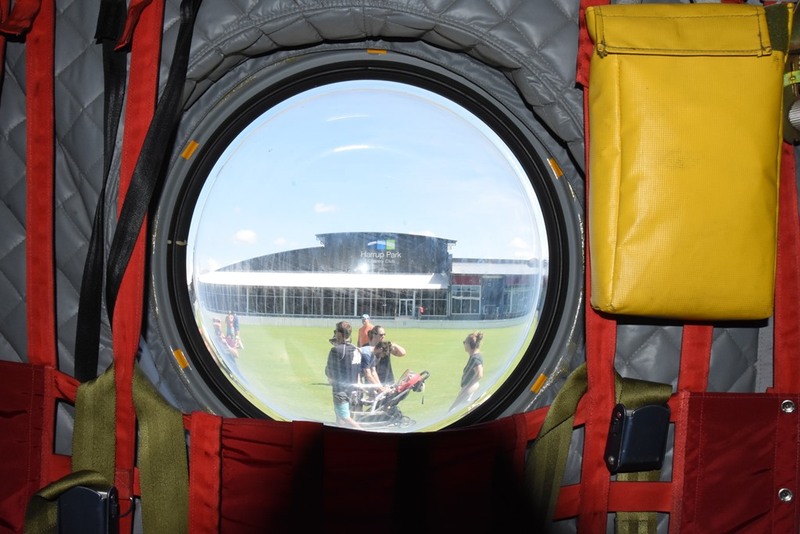 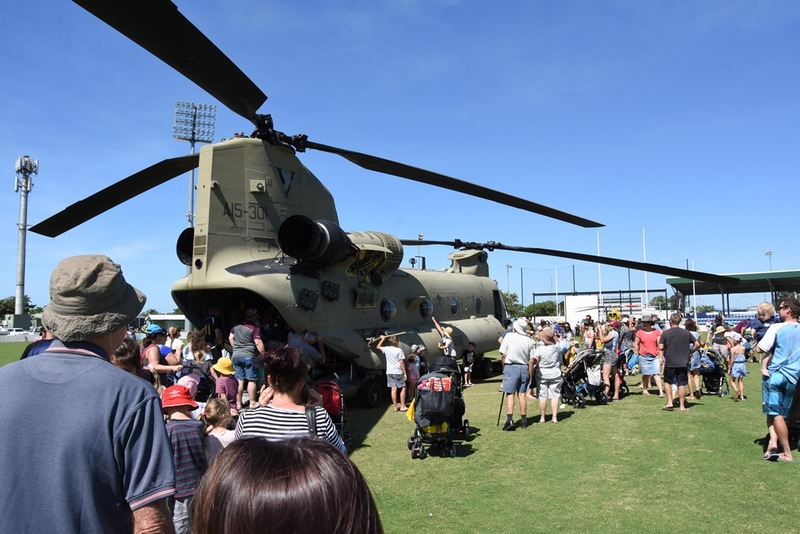 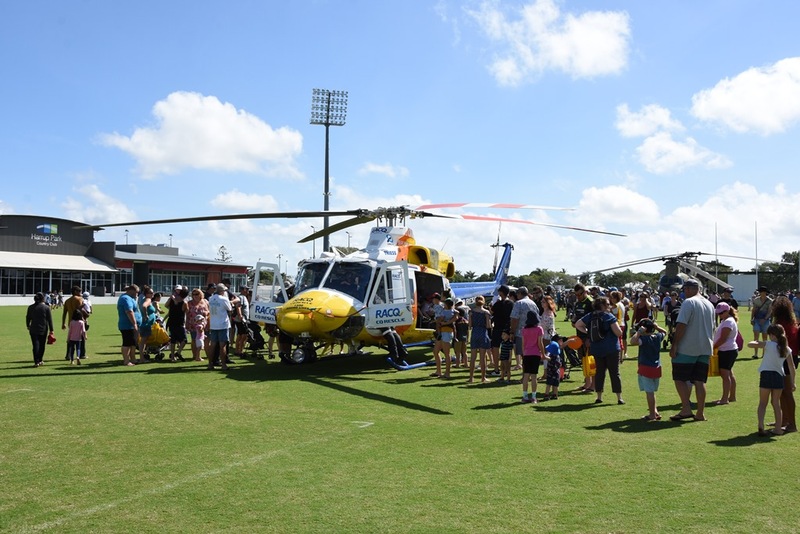 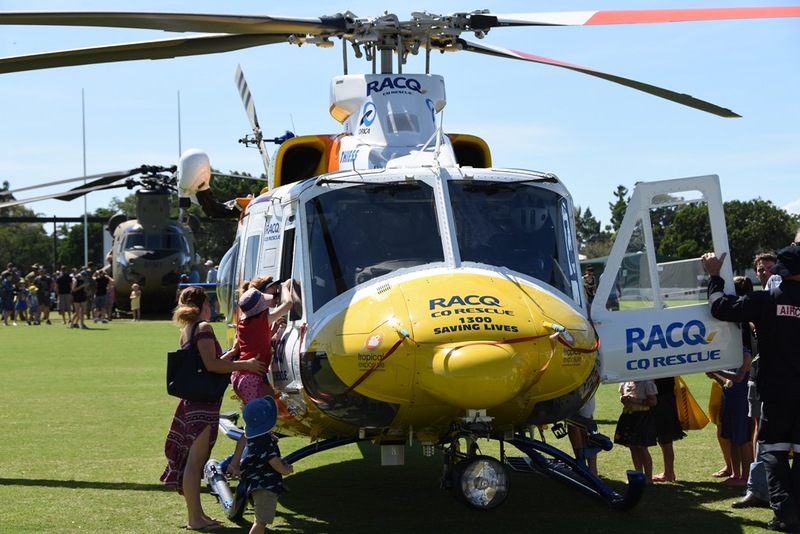 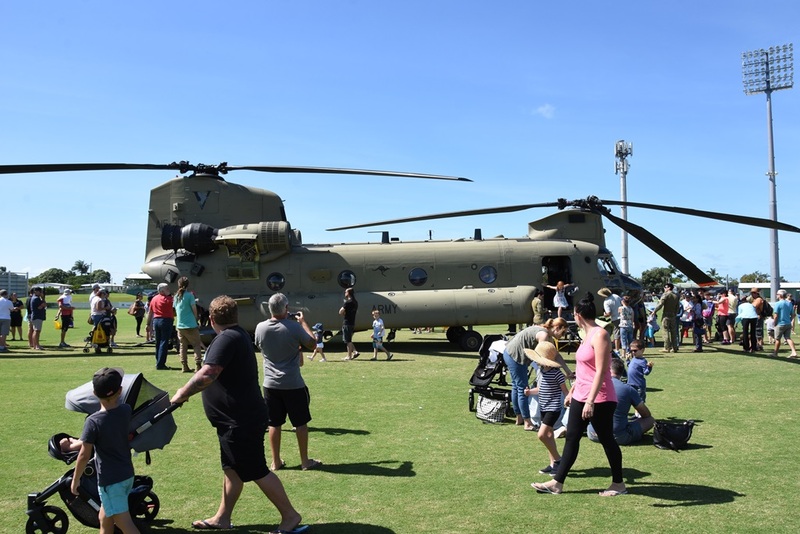 It was a massive day on Sunday 29 April at the inaugural RACQ Central Queensland Rescue (CQ Rescue) Emergency Services Day with more than 7000 people estimated to have passed through the gates at Harrup Park Country Club in Mackay. 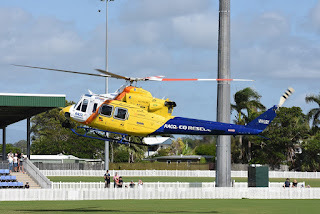 Some of the aviation action included the CQ Rescue (Babcock Mission Critical Services Australasia) Bell 412 VH-LSY making the short hop across from Mackay Airport and landing on the main oval at Harrup Park. 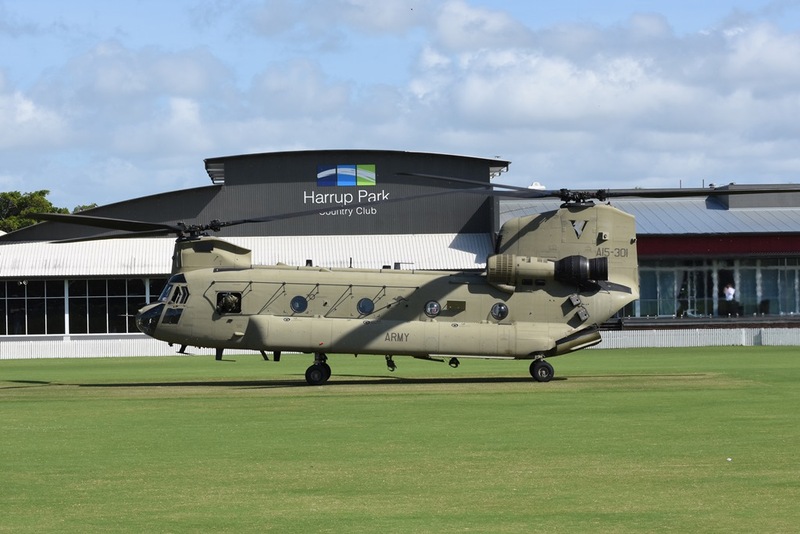 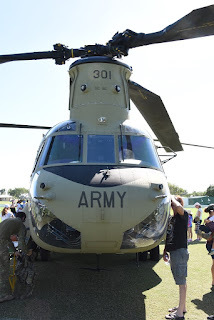 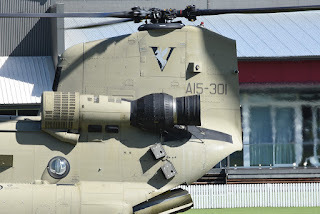 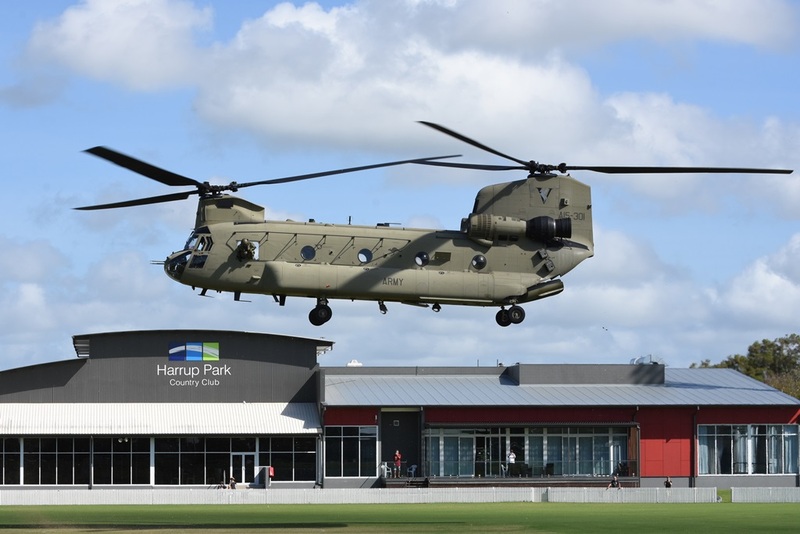 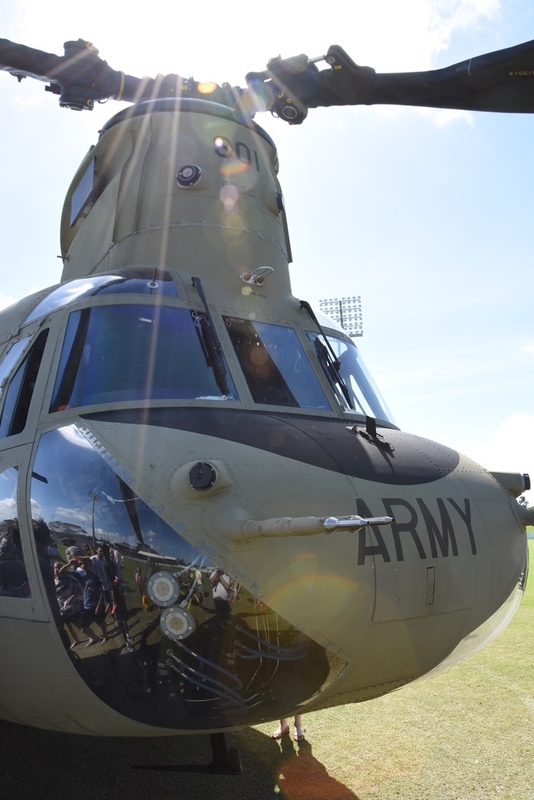 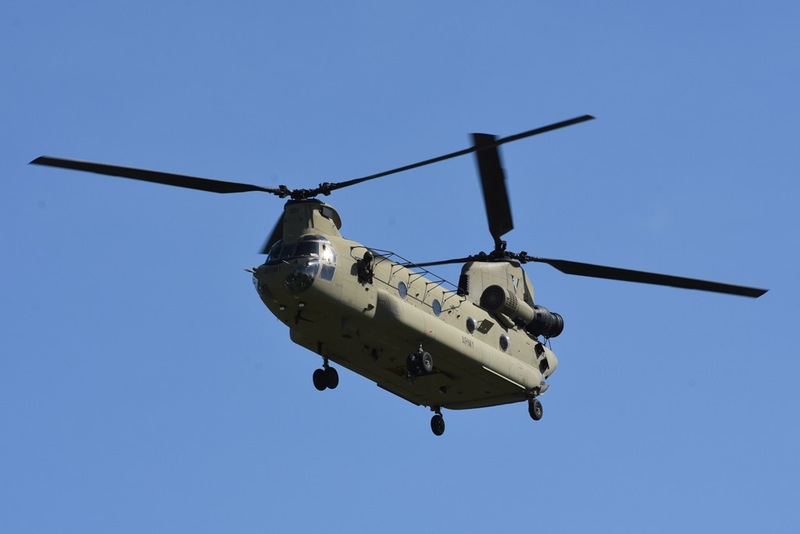 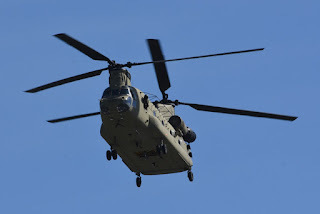 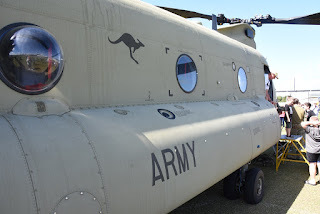 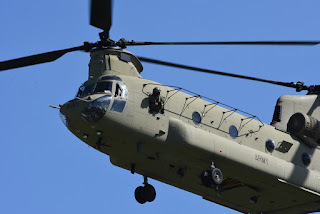 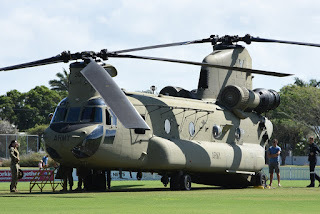 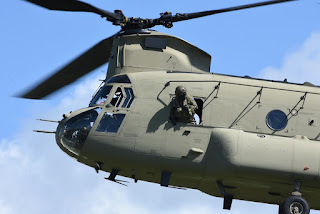 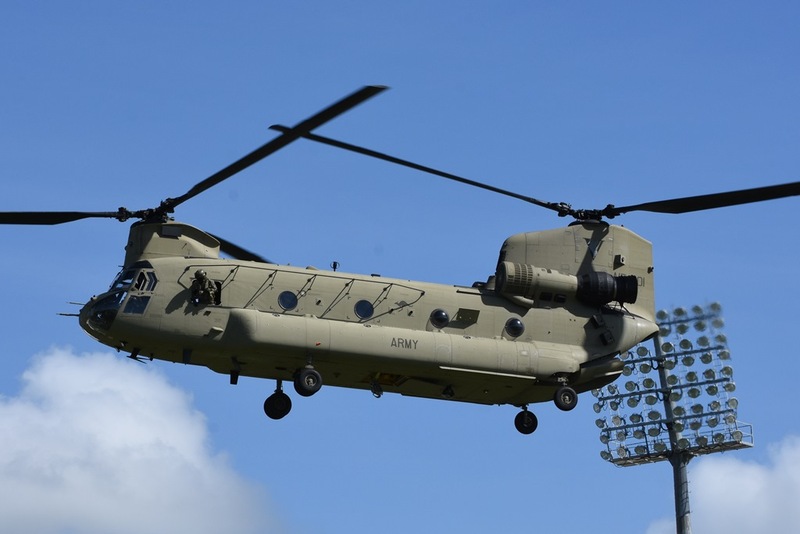 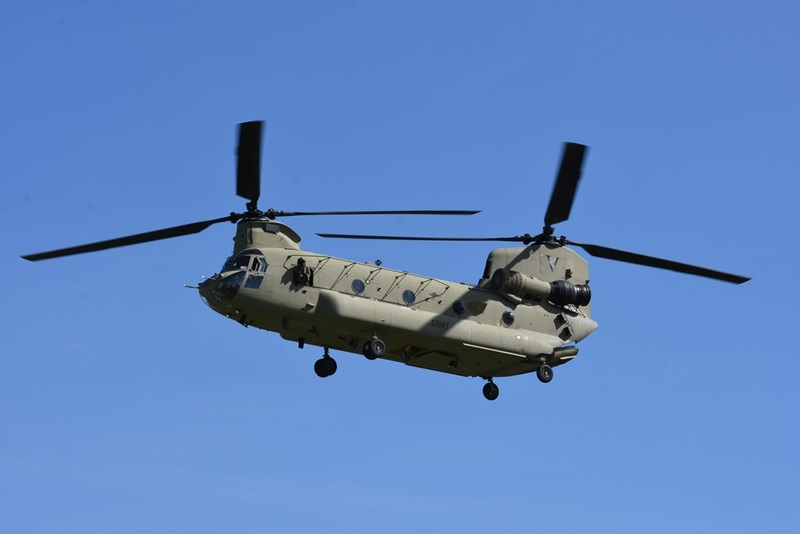 Soon after, Australian Army Boeing CH-47F 'Foxtrot' Chinook helicopter A15-301 "Brahman 301" flew down from Townsville and also landed on the main oval at Harrup Park. 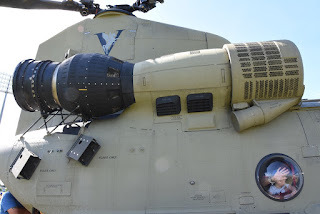 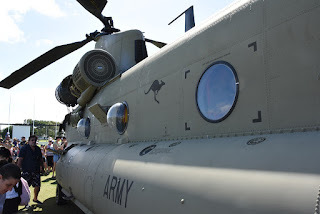 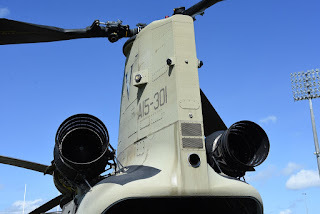 During the day, both helicopters were open for public inspection and proved quite popular with the queue for the Chinook stretching some metres! 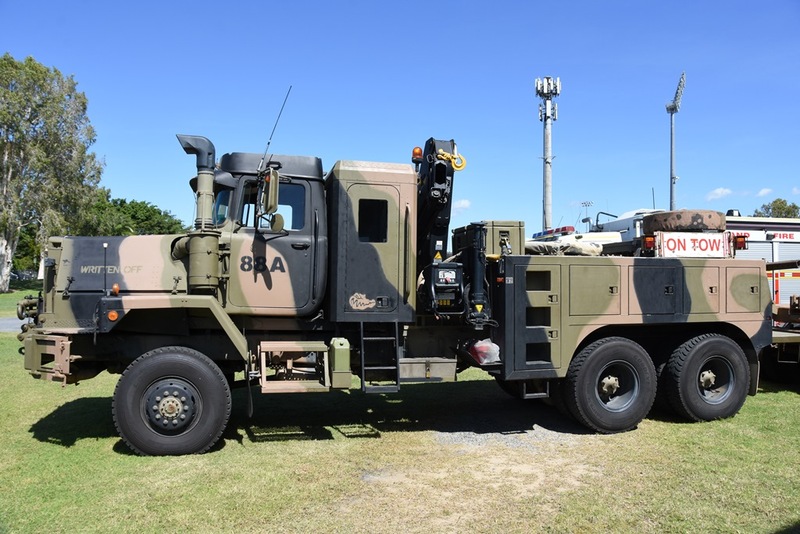 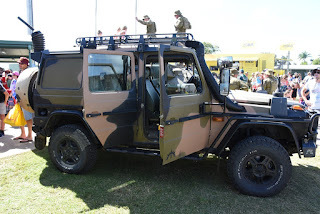 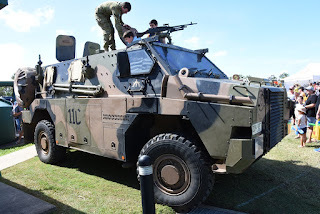 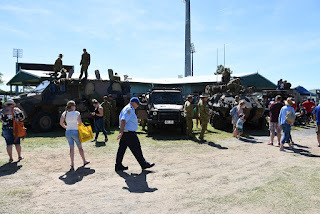 The Australian Army also had vehicles and trucks on display with these ferrying down from Lavarack Barracks also in Townsville. 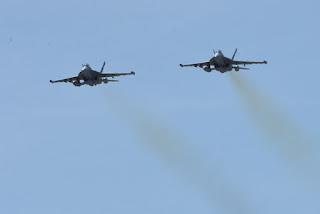 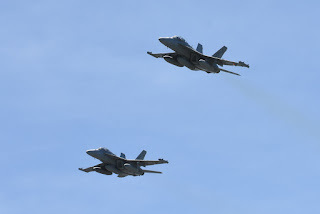 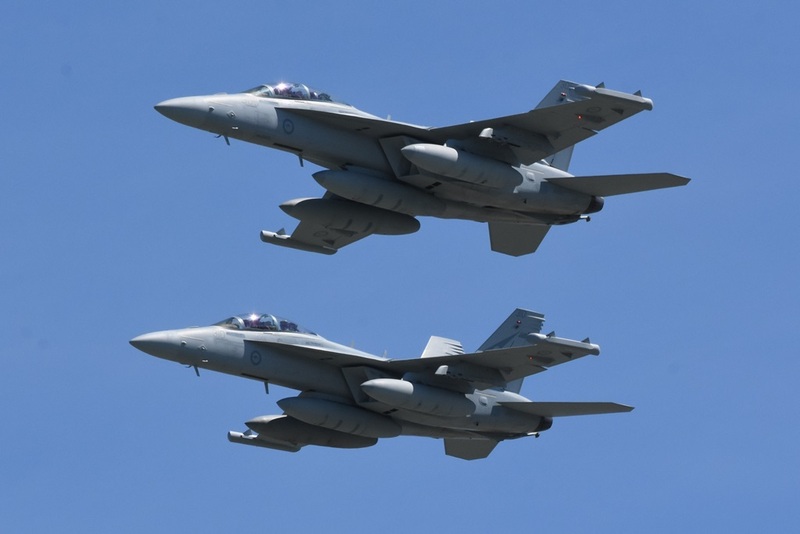 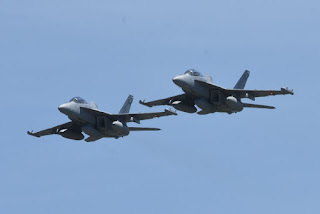 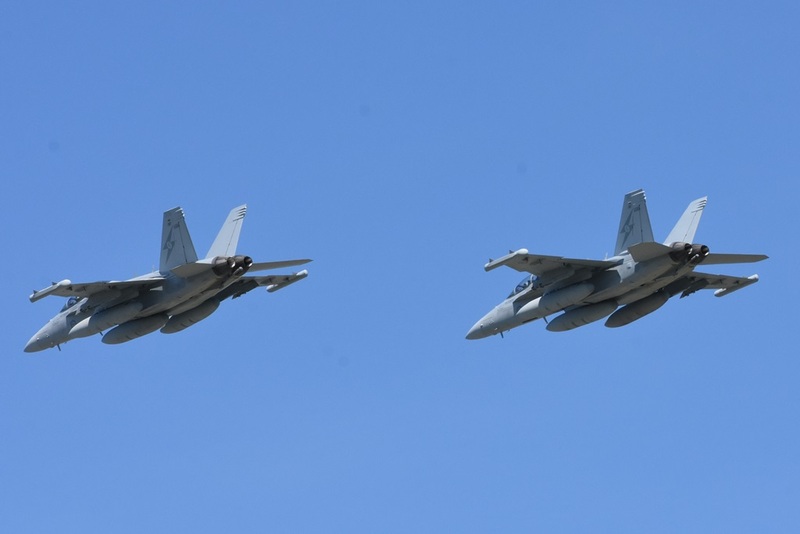 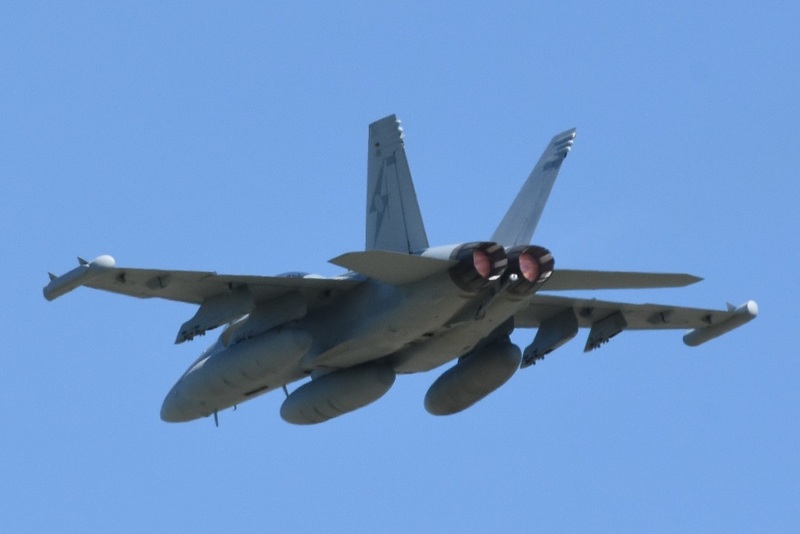 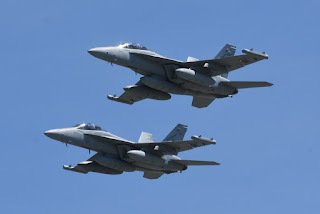 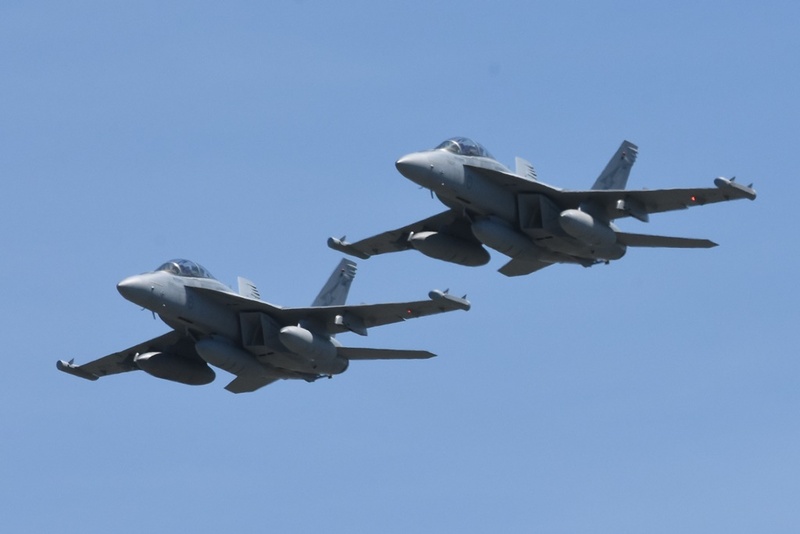 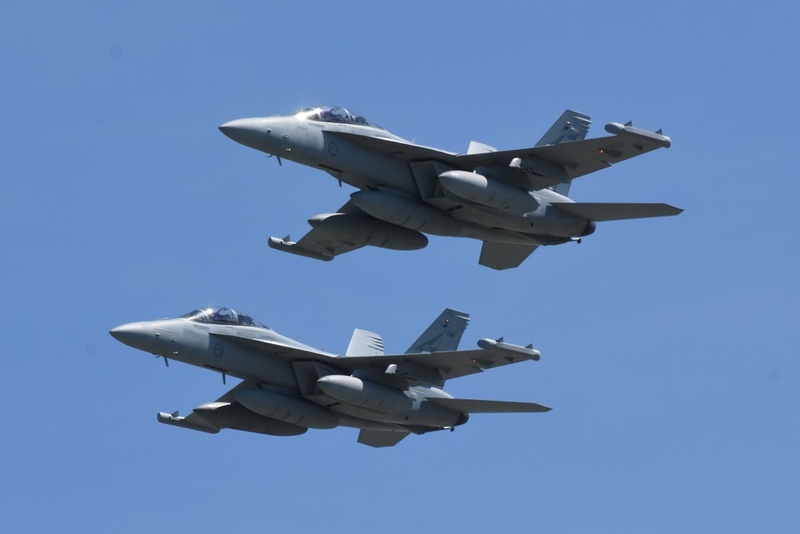 No doubt the highlight of the day though was when a pair of Royal Australian Air Force (RAAF) Boeing EA-18G Growler electronic warfare jets roared over the crowd. 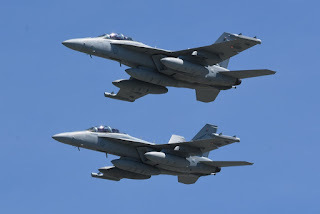 The two jets - A46-305 and A46-310 - which are flown by Number 6 Squadron based at RAAF Base Amberley, flew up from there in formation as "Brutal". After completing a 'slow' then 'fast' pass, both Growlers returned to Amberley. 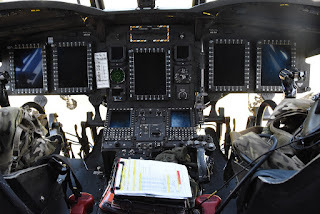 - ALQ radio-frequency jamming pods which enable it to jam enemy systems. 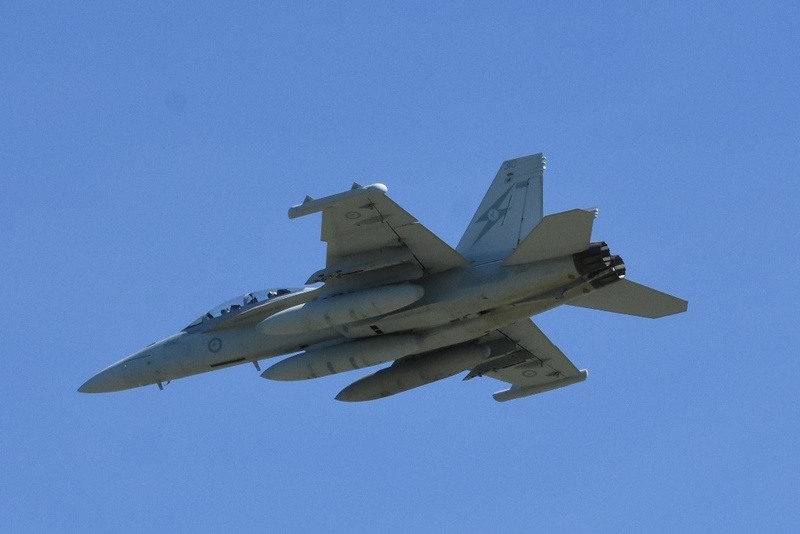 12 EA-18G Growlers will be based at RAAF Base Amberley with Number 6 Squadron and operate in conjunction with Australia's air, land and sea forces. 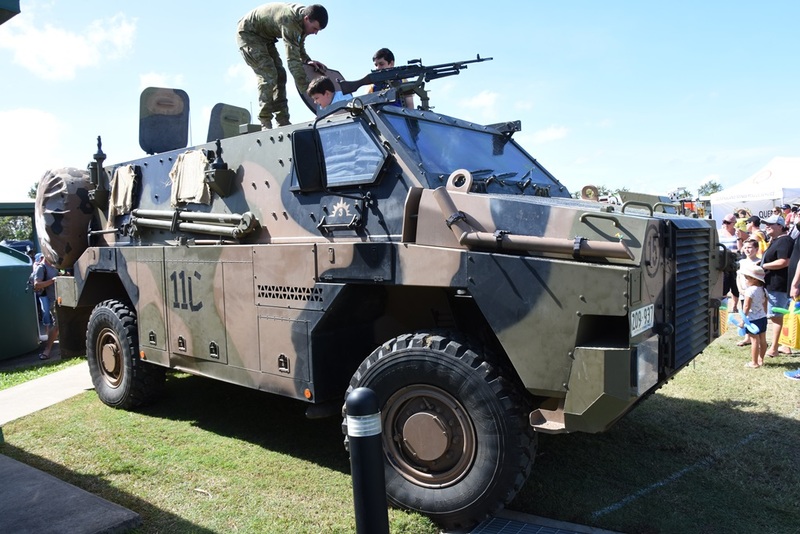 Defence plans to achieve Initial Operational Capability (IOC) in 2018. 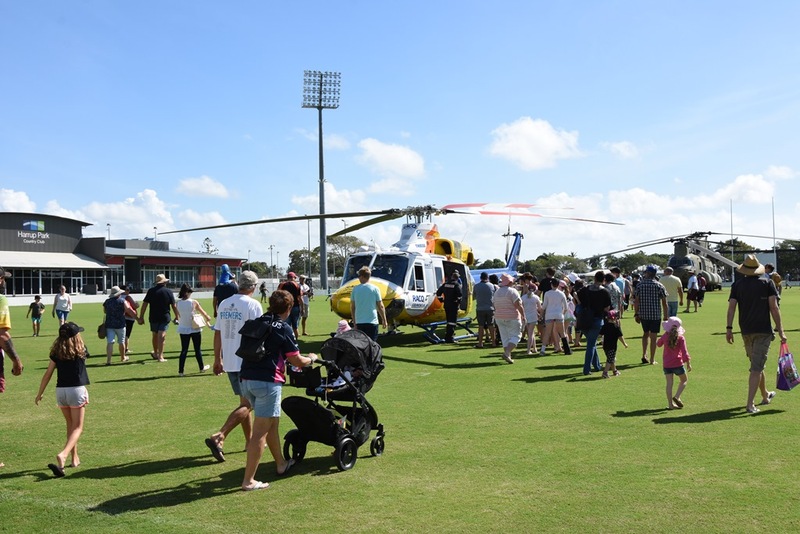 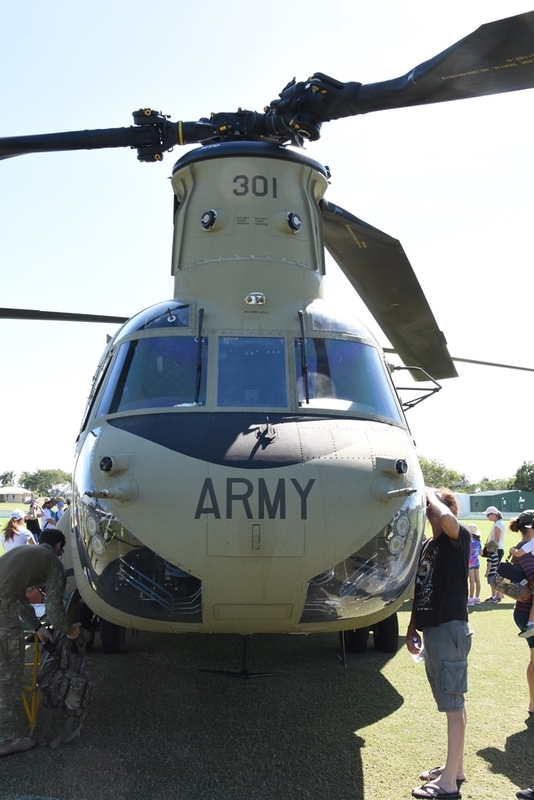 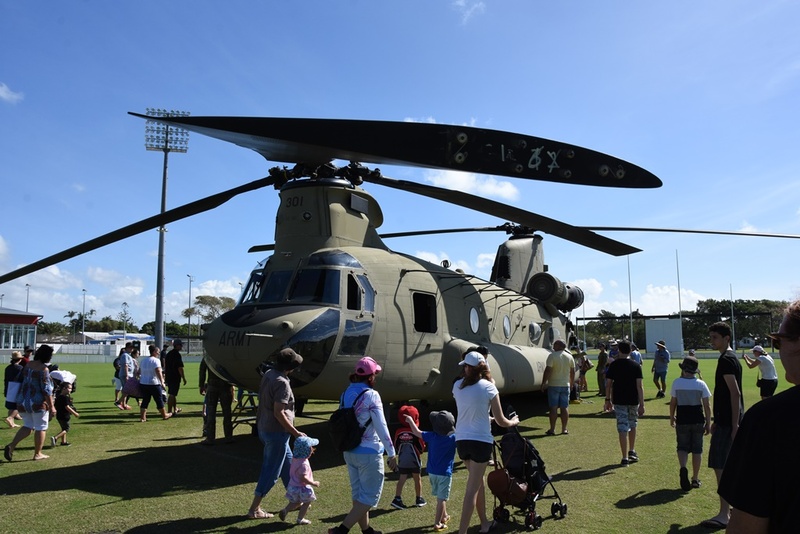 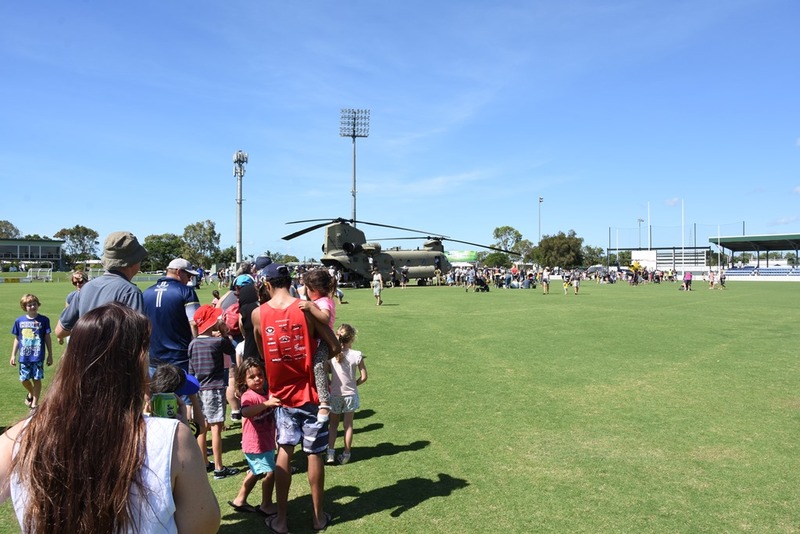 The CQ Rescue Emergency Services Day attracted more than 7000 people through the gates at Harrup Park and it was an awesome day and a fantastic opportunity to catch a moment with, and say "thanks" to the men and women who keep us safe!